Our facial elixirs are unique sophisticated serum-oils with an irresistibly silky cashmere texture. Glow-inducing youth boosters enhanced with concentrated cosmeceutical actives and powerful essential oils. An essential step in your routine, packed with powerful anti-ageing actives to address all major signs of ageing. Your skincare first aid kit. Masks, boosters and targeted treatments to address specific concerns and supercharge your skincare routine. SHOP NOW CLEANSE & PREP Cleansing is your first anti-ageing step to healthy, glowing skin. SHOP NOW MOISTURE+ This essential step hydrates, protects and perfects with the additional benefits of high performance actives. SHOP NOW KITS & ACCESSORIES Essential daily collections and accessories for a signature Skinesis glow. 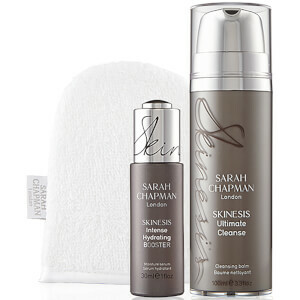 Cleansing is your first anti-ageing step to healthy, glowing skin. This essential step hydrates, protects and perfects with the additional benefits of high performance actives. Essential daily collections and accessories for a signature Skinesis glow. 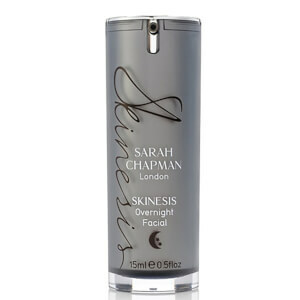 Skinesis offers truly innovative, award-winning skincare that delivers beautifully healthy, radiant and rejuvenated skin. Skinesis is the evolution of over twenty years of hands-on experience by London’s most sought-after facialist. Sarah combines her knowledge of skin and cosmetic science with expertise from the treatment room to bring you powerful results driven, cosmetic formulations. 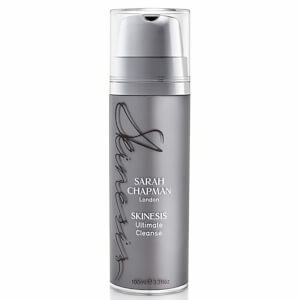 Sarah Chapman’s facials are renowned for their skin transforming signature lifting ‘gymnastics’ massage. Discover how to ‘sculpt’ your face at home with these simple movements. Watch Sarah’s unique massage techniques and discover how to achieve youthful radiance in your first step to anti-ageing. Discover the perfect products to pair with Sarah’s techniques.